Growing up, my parents introduced ramen to me at an early age…that instant ramen crap. Specifically the red ichiban –probably my first meal I ever learned to cook. As a kid, I didn’t know there was a better version of this until I grew up and moved to Seattle. Talk about life changing experience! 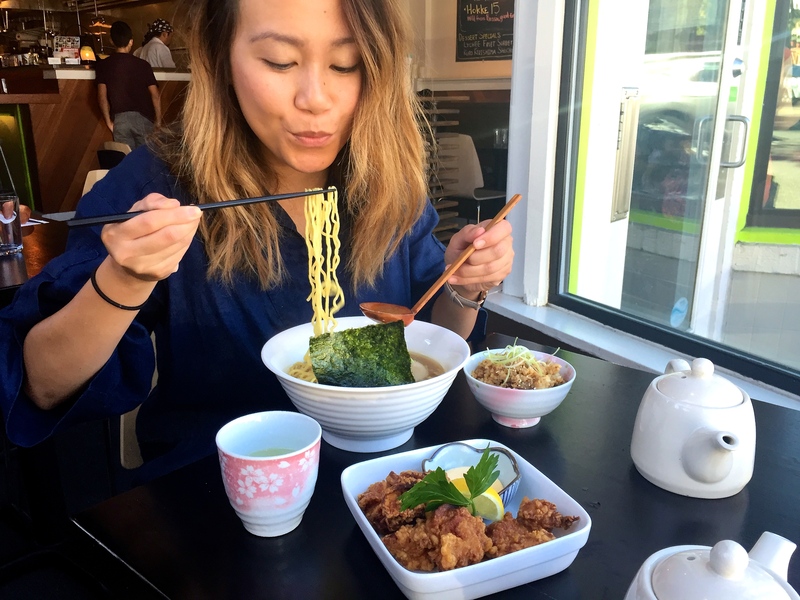 Up until a few years ago, ramen joints have been opening up everywhere!! Hallelujah!!! 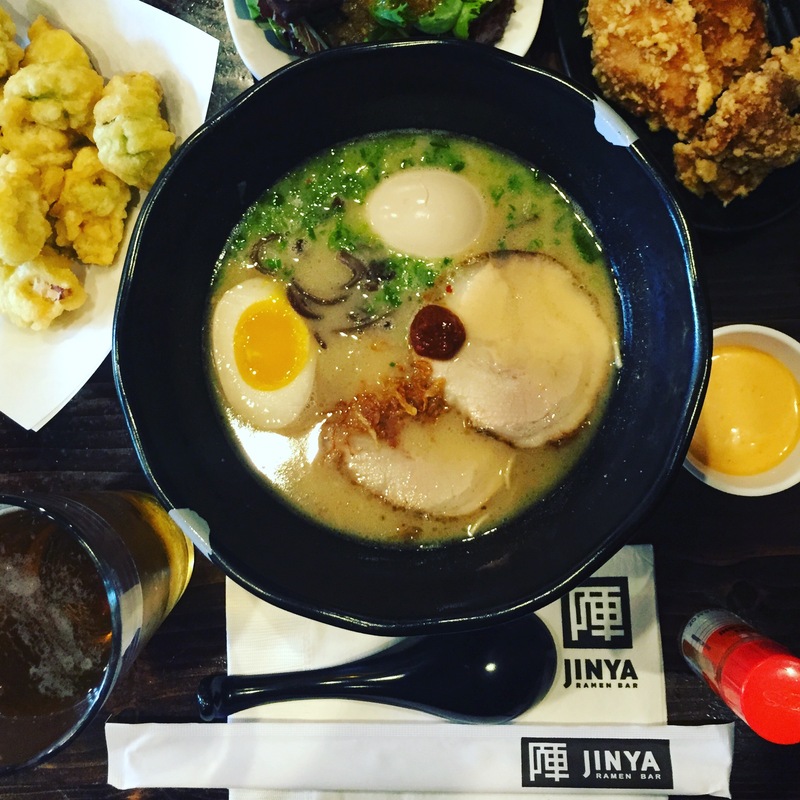 Being in the Seattle area, a few of these ramen places started poppin up, and I just have to hit them up!!! Yoroshiku is a small Japanese restaurant with a fairly cozy ambiance and an appealing interior design. My meal consisted of zangi, Yoroshiku’s version of Japanese fried chicken strips we normally recognize as chicken karaage. The thin batter coating fried in a light oil was delightfully tasty with the chili sauce. I followed that up with Shoyu Ramen and added a soft-boiled egg to mix in with the bamboo shoots, green onions, bean sprouts and the one slice of pork included in my ramen. I also ordered the cha shu donburi which was just okay. 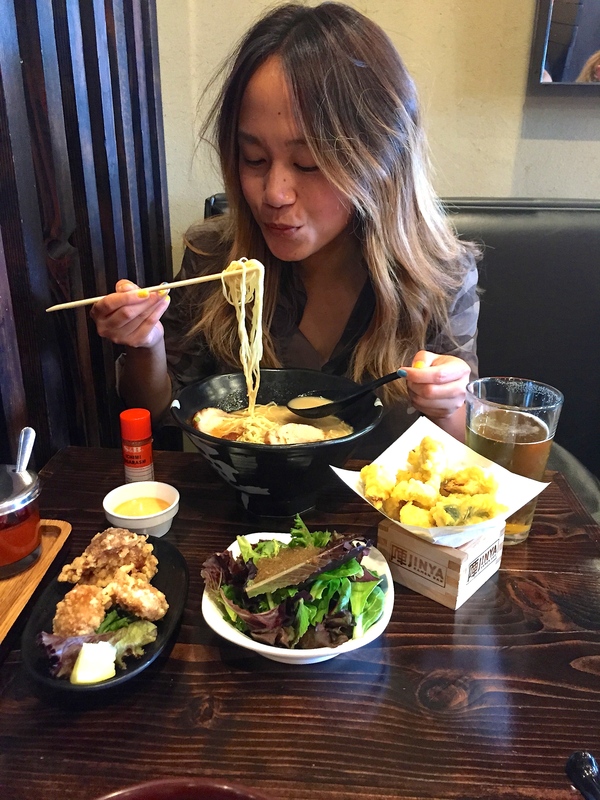 The ramen is where it’s at! 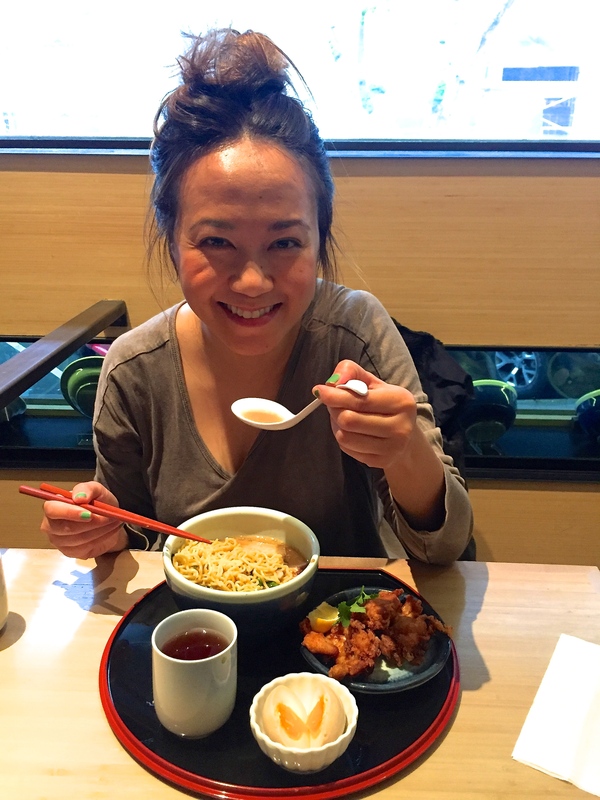 The soup was flavorful and true to its description — chicken and fish broth seasoned with soy sauce! Be forewarn: This place is so hidden! The sign didn’t actually say “Yoroshiku”, it was actually labeled “4649”! Just as heads up when you’re looking for the place. 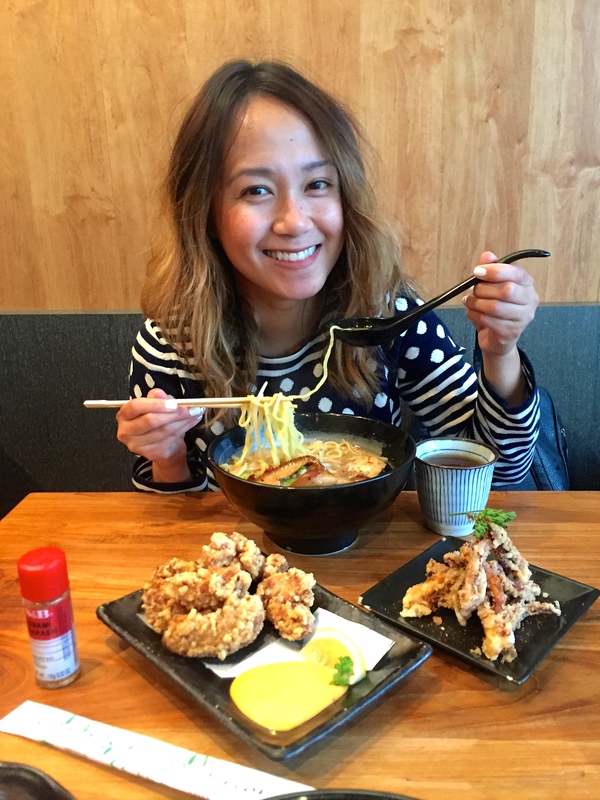 Kukai Ramen & Izakaya is true to the Japanese theme where they loudly greet you as you enter and leave. Location is very easy to find, it’s in a shopping complex on Main street so plenty of parking is provided. This is one of my favorite places to get ramen! I ordered the Garlic Tonkatsu Shoyu and was very very satisfied. 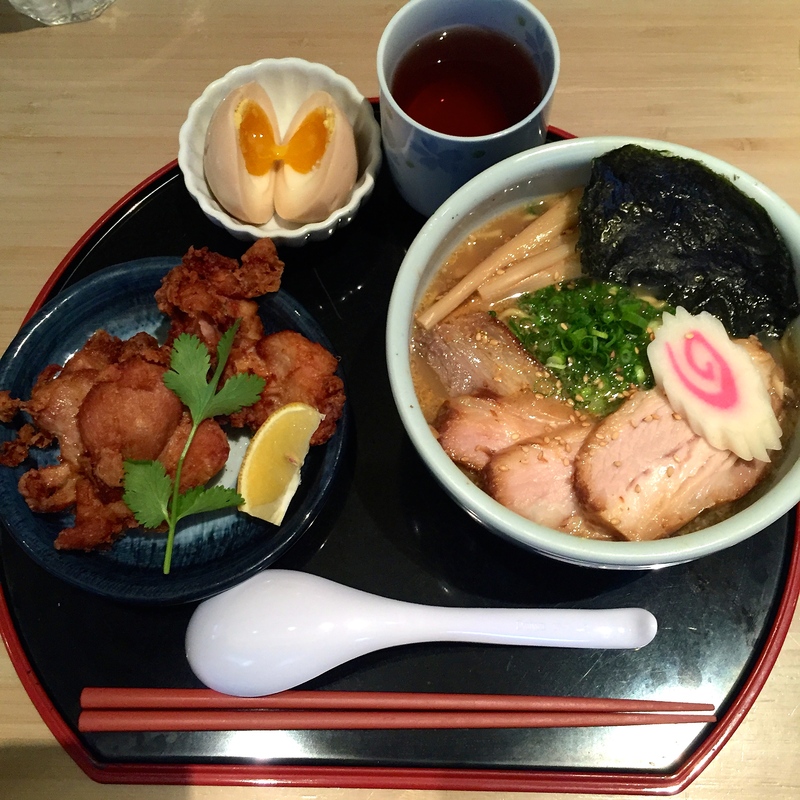 The broth is very strong and delicious and everything was cooked to perfection – even the egg! Mmmmmmm especially the egg, that thing was boiled perfectly. It tasted heavenly!! You could really taste the pork bones infused in the soup. I seriously love how the fatty pork appears to have been marinated and melts in your mouth with every bite. You MUST order the geso karaage (fried squid) it is too die for!!! I had a combination meal: which includes a ramen, salad with a sort of miso flavor dressing, and chicken karaage which was amazing. For the ramen: I ordered the Premium Tonkotsu White. 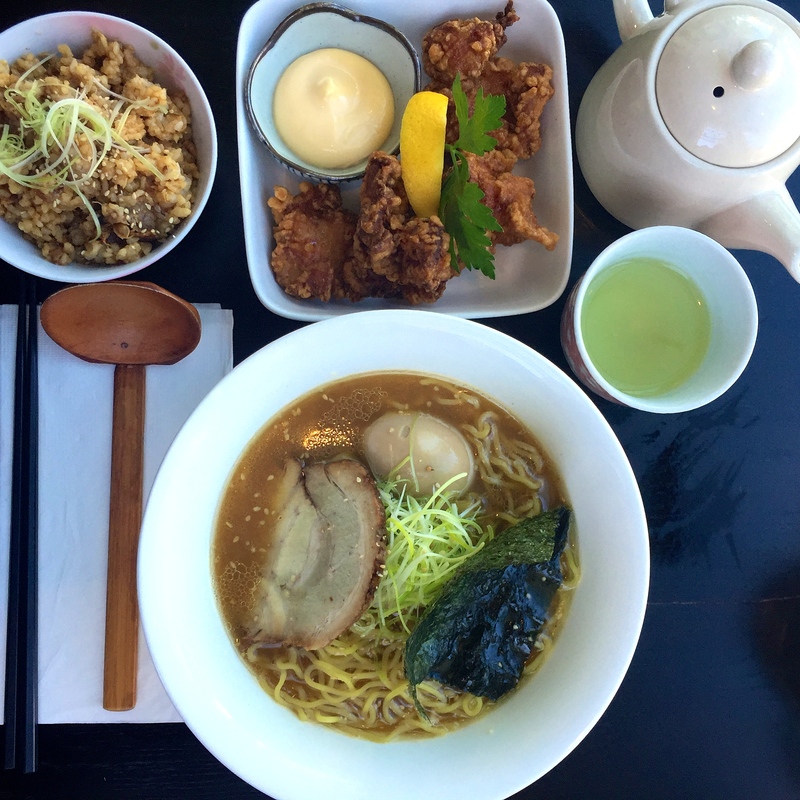 The pork and chicken broth was rich and flavorful, the thin noodles was a great texture of soft and chewy, and the pork chashu was more on the fatty side but still tender and delicious! As for the seasoned egg, it was PERFECT! You MUST order the brussel sprouts tempura with truffle essence and wash it all down with a nice cold glass of Sapparo! 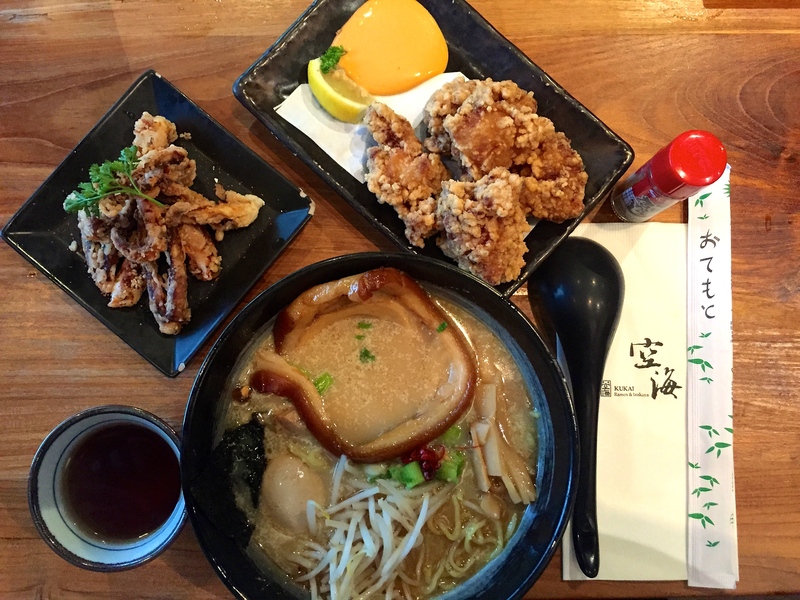 Hokkaido Ramen Santouka is a great small restaurant located in the heart of downtown Bellevue. As usual, I started off with the chicken karaage. This was pretty appetizing due to the large pieces being succulent and well-brined. For my bowl of ramen, I went for the Tonkatsu Shoyu ramen, annnnnd it was delicious. Dunking the fatty pork cheek slices in the hot broth yielded melt-in-my-mouth goodness. It wasn’t only about the texture as the flavour of the pork fat really came through. Firm and chewy, the noodles held up to the hot broth and completed the trifecta of yumminess. I usually never finish my ramen, since I tend to order a couple side dishes, so it’s nice that you can choose a small bowl for $1 less or a large bowl for $1 more. I found myself adding chili powder to give a little kick to the broth. Remember that day you got burned cooking Ichiban?!?! My son has instant every afternoon….WE do not have any of those places where I am, but it looks awesome!